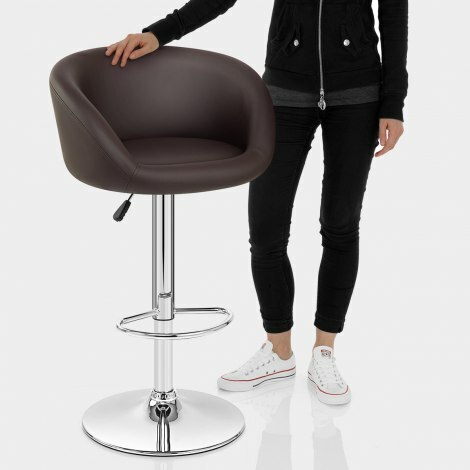 The Eclipse Bar Stool Brown is made to fit perfectly anywhere, be that a traditional kitchen, a contemporary breakfast bar or even a 60s dining room. The Eclipse has a design that is easy on the eye and so can fit in with any type of interior decoration. The Eclipse has a wide seat padded for extra comfort and covered in supple brown faux leather. This seat has a backrest that curves round to join the armrests, wrapping around the seat to help with good posture. The seat perches on a chromed column, inside which is found the variable height gas lift and the 360 degree revolving mechanism and on which is the hand fashioned footrest. The Eclipse comes with a round base that keeps it stable and has a rubber floor guard beneath to help keep your floor scuff free. "I would highly recommend these chairs"
I am so happy with the stools, they are just what I wanted. The service was extremely quick and no hassle whatsoever. The stools are really straight forward to assemble..... overall a brilliant service and I wouldn’t hesitate to use again and recommend to others. Second lot of stools we have had. These guys - quality great and prices always reasonable. Ordered 4 . Great price great service very comfortable just what I was looking for. 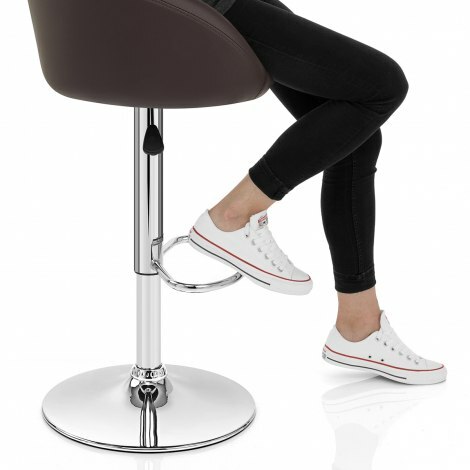 Great service from order to delivery, bar stool easy to assemble, comfortable and in my opinion good value for money.